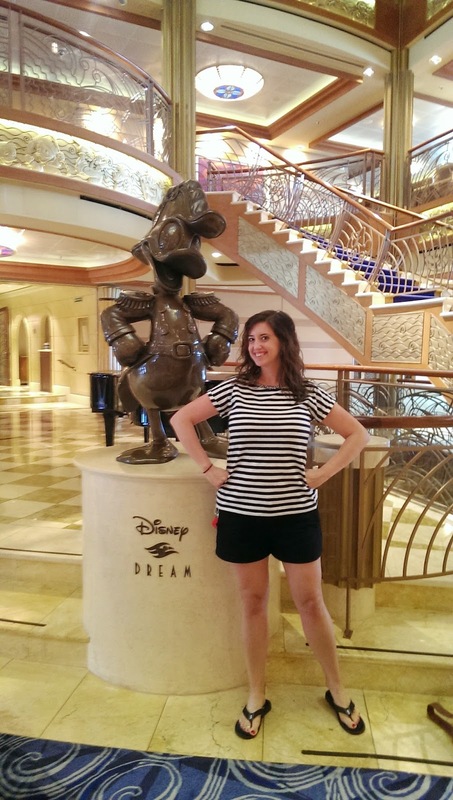 Sparkly Runner: First Disney Cruise "Must-Do's"
If you've ever watched television in a Walt Disney Resort hotel room, then you've probably seen Stacey hosting a little show affectionately called "Must Do Disney." She runs through all the "must-do" rides and experiences at WDW every 20 minutes. ﻿In that vein, I present to you Sparkly Runner's "must-do's" for your first Disney Cruise Line vacation! 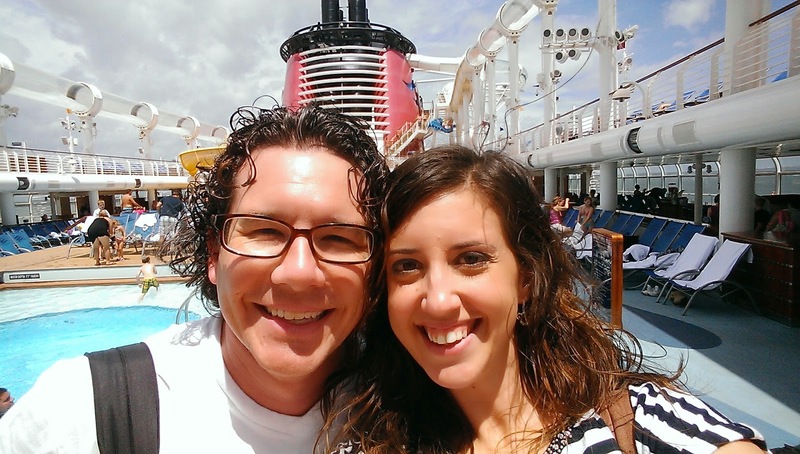 Collectively, Matthew and I have been to Walt Disney World dozens of times but have only been on one Disney Cruise. What's outlined below is our experience of what worked and what we would absolutely do again on the next Disney Cruise. When most people think of Disney or a Disney Cruise, they usually think that everything is geared towards children. While that is part of what they do, there are plenty of experiences tailored to adults. This post will refer to what we- as a couple without children- would do again. If your family includes kids, I would highly recommend googling "Disney cruise kids activities" to get an idea of what's available for children. 1. Check in online as early as you can. When taking a cruise out of Port Canaveral, check in online as soon as it's available- usually 45 days before departure date. You should get an email letting you know when you can check in. 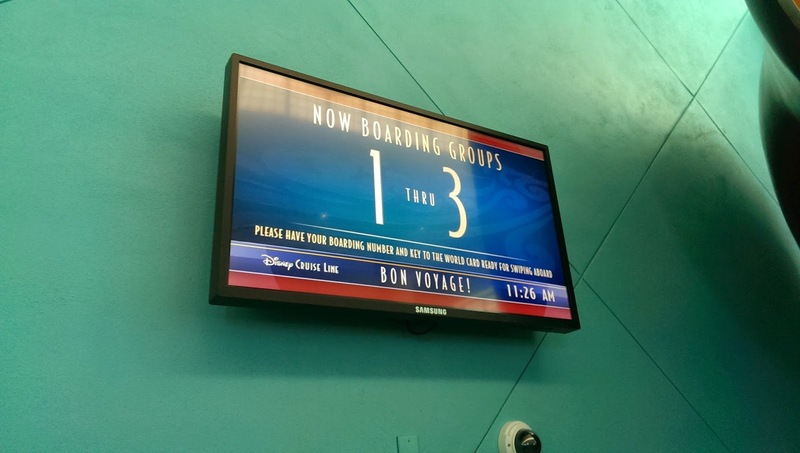 This early check in allowed us to get on the ship around 11:15 am in boarding group three. There were over 30 groups! 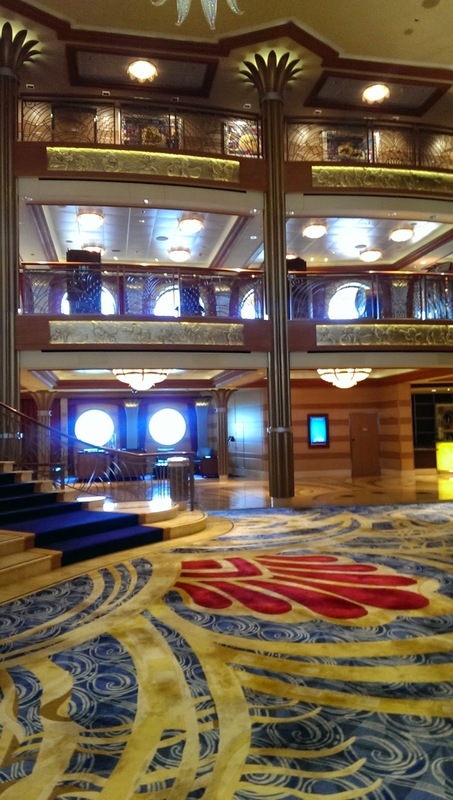 By getting on the ship early, we were able to walk around and get acclimated without a ton of people on board. 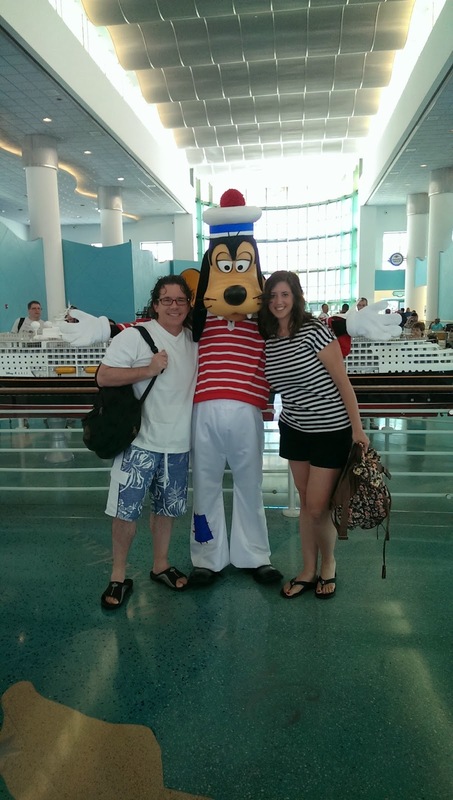 There are also characters hanging out in the port as you wait to board. The Disney Dream is gorgeous. Getting on early means no lines for pictures! Quiet Cove, the adults-only section of the ship. Deck 11 with the Mickey and Donald pools and the Aquaduck behind us. 2. Visit Guest Services right away to sign up for unique experiences. Right after boarding the ship, we went to Guest Services to sign up for a few things we didn't want to miss- the Castaway Cay 5k and a tequila tasting :-) We had read other blogs that mentioned there would be on-board tastings (beer, wine, whiskey, etc.) on various days of the cruise but that they often sold out even before they were listed in The Navigator (our daily activities guide). We registered for the 5k (no extra cost) and a tequila tasting ($15 per person) on the first day we got on the ship so we were guaranteed the experiences we wanted to do. I also got to get behind the bar and make strawberry margaritas for the group! 3. Don't be afraid to spend a full day on the ship. With only three days to cruise, there is some perceived pressure to try and do everything. Trust me, you won't be able to. With a Disney cruise, there are literally five activities happening at the same time all day and night long. It can be really overwhelming. But don't forget, you are staying on an amazing floating resort! Don't be afraid to miss out on some excursions to enjoy the ship. On the day our cruise was docked in Nassau, Matthew and I got off the ship, walked through the Straw Market and bought some souvenirs, and were back on the ship by 11 am. We spent the rest of the day riding the Aquaduck (the Disney Dream's water-coaster), laying by the pool, and relaxing. It was really fun and we felt like we were getting the most out of the actual ship. And because the majority of the cruise-goers were off the boat, we had a lot of it to ourselves. On board the Disney Dream (just like all the Disney Cruise Line ships), there is a spa that offers massages, manicures/pedicures, acupuncture, etc. We had done some research and heard about "The Rainforest"- a sauna/aromatherapy/heated stone bed/private hot tub experience that was incredibly affordable: $16 per person per day. It. Was. Awesome. There were three separate sauna rooms, four aromatherapy showers, a row of wonderful, heated beds, and two private hot tubs. We used it on Friday, the day we spent docked in Nassau. I had the best nap of my life on the heated stone beds. We also got to use the spa's locker rooms all day. So after we had enjoyed The Rainforest for a bit, we left our stuff in the locker and went to lunch. Then we came back and relaxed for a few more hours. This is the most amazing bed in the world. These are the faces of total relaxation. 5. Dress up for Pirate Night. On our cruise, Friday night was Pirate Night and costumes were encouraged. All the cast members were dressed as pirates- it was really fun. When we came back to our room on Friday afternoon to get ready for the night (show at 6:15, dinner at 8:15), our housekeeper had left us Pirate Mickey bandanas to add to our ensembles. Overall, this was incredibly spirited and fun night- I'm so glad we joined in the fun in costume! Renata (one of our dinner tablemates) and I with Mickey Premium Bars! Matthew and I on deck for the Pirates in the Caribbean party! Simple pirate costume- hoop earrings, striped shirt, capris, winter scarf around the waist, and a bandana. Our complimentary Pirate Mickey bandanas. 6. Get a room with a view. 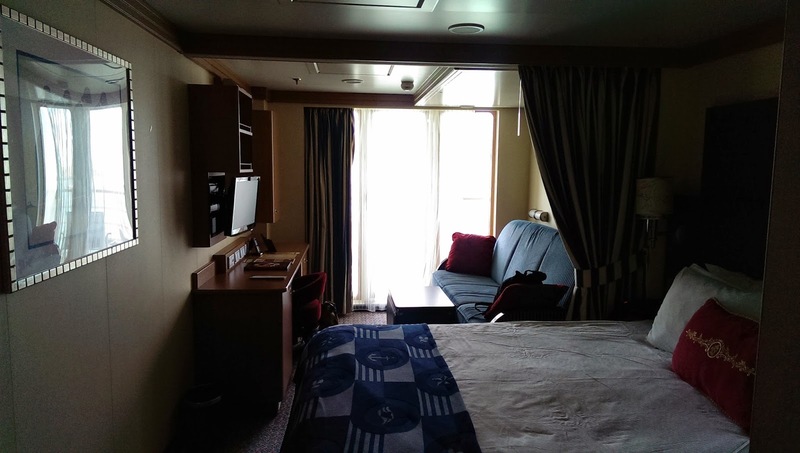 There are a lot of opinions out there on whether or not you should get a room with a veranda on just a three day cruise. My advice- do it! I can't tell you how nice it was to come back to the room after a long day and sit out on the veranda, just staring at the ocean. Also, watching the sunrise in the morning was priceless. For a few hundred dollars, the view was 100% worth it. And it makes the room seem just a bit bigger. Room- view from the balcony. All smiles with this awesome view. Pre-run coffee on the balcony. AKA heaven. 8. Don't skip the entertainment! If you've ever been to a Disney park or runDisney event, you know that the entertainment is top-notch. Now, multiply that by 10 and you'll have an idea of the entertainment presented on the ship. For a three night cruise, there are three separate shows; "The Golden Mickeys," an awards show honoring favorite Disney movie characters; "Villains Tonight," a comedy/variety show featuring Disney antagonists; and "Believe," an original production with familiar songs and characters. Each is about an hour long and full of magic. These shows rival most of the Broadway shows I've seen. Even more impressive, it's the same 20 actors for each show- they are crazy talented. In addition to the stage shows, there are parties to celebrate the beginning and the end of the cruise and a pirate party complete with fireworks. Did you know that Disney Cruise Line is the only cruise line allowed to shoot fireworks off of a boat?! And that the firework remnants that fall into the ocean become a protein that fish can safely ingest?! True Disney magic. The "Pirates in the Caribbean" deck party. Fireworks on the starboard side. We were actually able to lay down on the deck to watch them- awesome. 9. Take full advantage of character opportunities. What would a Disney vacation be without Disney characters?! Luckily, Disney cruises are full of characters- they appear in shows, for pictures, and will actually personalize items for you that you give a cast member ahead of time. When we first got on the cruise, we went to Guest Services and gave them two mats for a 5x7 picture frame. 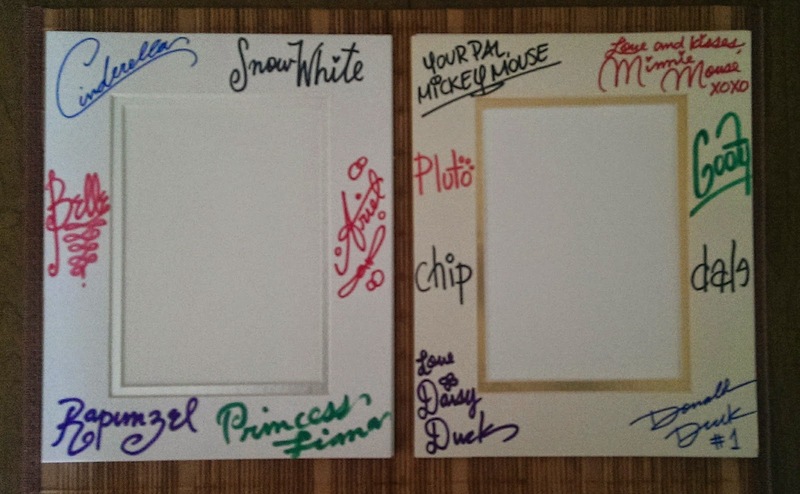 We asked for the characters to autograph them- one with the fab five, one with the princesses. 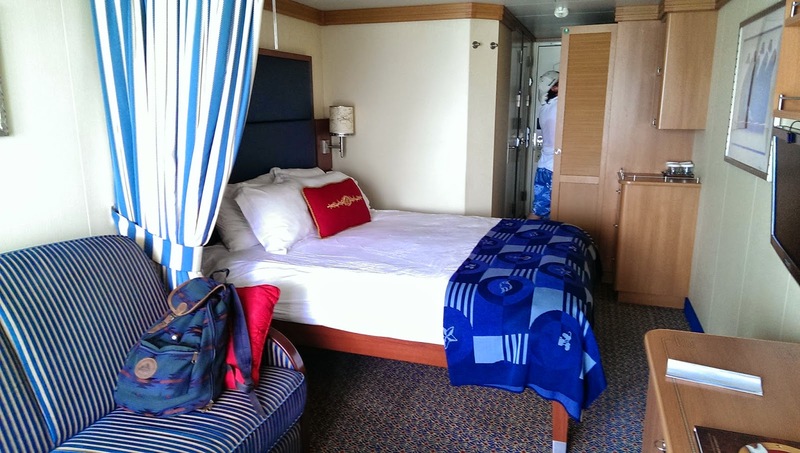 On the last day of our cruise, they were delivered to our stateroom. Pretty cool, right? You can give them up to two items per stateroom. We were also able to get pictures with lots of our favorite characters. They would publish times and locations in The Navigator each day so you could always know where they would be. Bonus- many were in "cruise attire" which was adorable. Our finished picture frame mats. 10. Research, plan, but enjoy yourself! This one seems really simple- you're on vacation! It should be easy to relax! 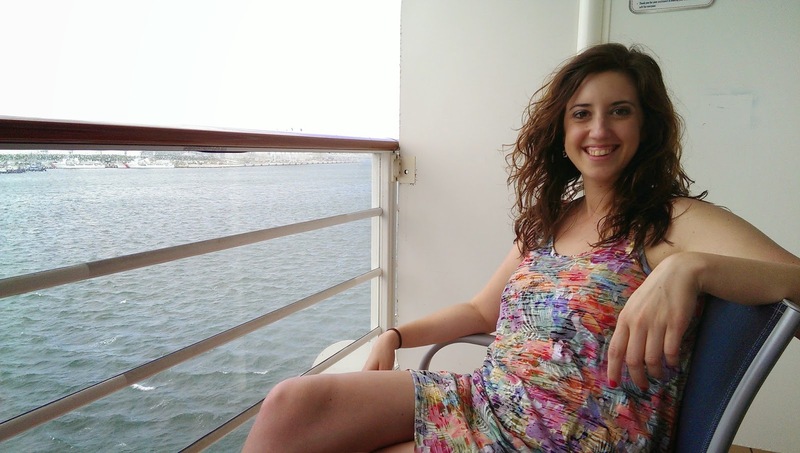 But, if it's your first cruise, you may feel anxious about not knowing what to expect but still wanting to get the most out of the experience- I know I did. Matthew and I both did lots of research by reading blogs and asking questions of people who had cruised with Disney before. We planned each of our days and were pretty happy with the overall execution of those plans. However, there was always wiggle room to change course if needed. This allowed us to relax and be confident that whatever we chose to do would be fun and worth-while. Looking back, we had a wonderful vacation and can't wait to do it again soon! QOTD: Have you ever cruised before? 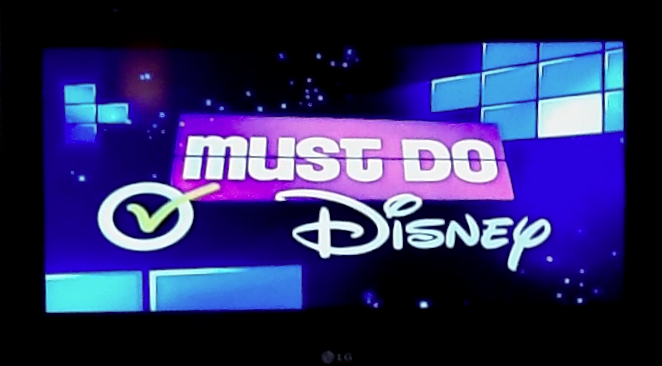 With Disney? What's your "cruise must do?" We've taken 6 cruises, none of them Disney. Our next cruise, still TBD, WILL be a Disney cruise. Even with that already determined, your wonderful review left me figuratively drooling and excited to get that trip planned. Unfortunately, I can't make any plans for at least the next 3 months because we are in the beginning stages of moving across the country and we don't know when construction will be complete. 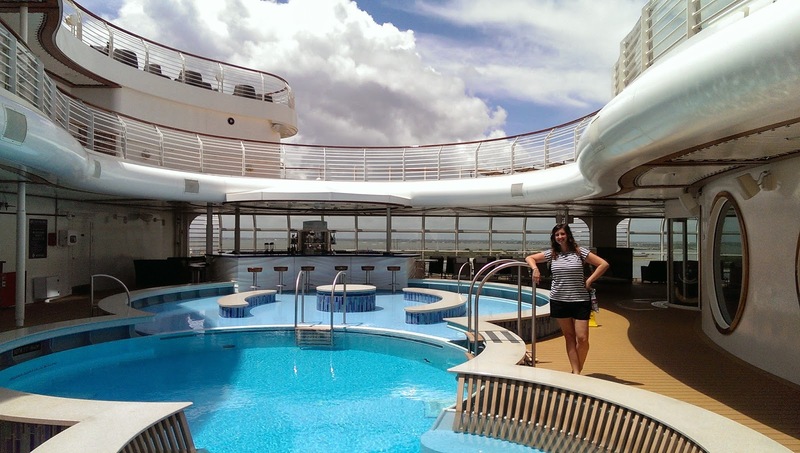 Thanks for a great blog, happy birthday, and may longer cruises be in your near future!